You can stop time! - DS - Game Reviews - You can stop time! Review: You can stop time! Hey there! 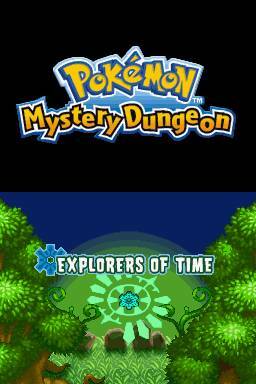 This will be a review of one of my favorite games growing up, Pokemon Mystery Dungeon: Explorers of Time. This game was released back in 2007 for the Nintendo DS alongside its counterpart, Pokemon Mystery Dungeon: Explorers of Darkness. There aren’t many differences between the games, with the exceptions of some items and a few wild Pokemon. Later on they were followed by Pokemon Mystery Dungeon: Explorers of Sky which did offer a few new features and areas but follows the same storyline. As the name implies the game belongs to the Mystery Dungeon genre, in which you explore different dungeons with the twist that every floor you go to is randomly generated, so every visit will be unique. For your playable character you get to control one out of a couple Pokemon that is determined through a short personality quiz. You’ll also get to choose a partner Pokemon from that list that will aid you on your adventure, but they can’t be a Pokemon of the same type as yours. Combat in this game is turn based so you’ll always need to think about your next move, and with some other elements like hunger you’ll need to watch out even more. With that out of the way, let’s get into this review! As it’s a Mystery Dungeon game, the graphics are quite simple. During gameplay you get to walk around as a tiny Pokemon sprite and there are hardly any cutscenes in the game, though when they do appear they take good use of the dual screens of the Nintendo DS. The world map and the dungeons are still aesthetically pleasing though so I was never bothered too much with the graphics. This game has my second favorite OST of all time. 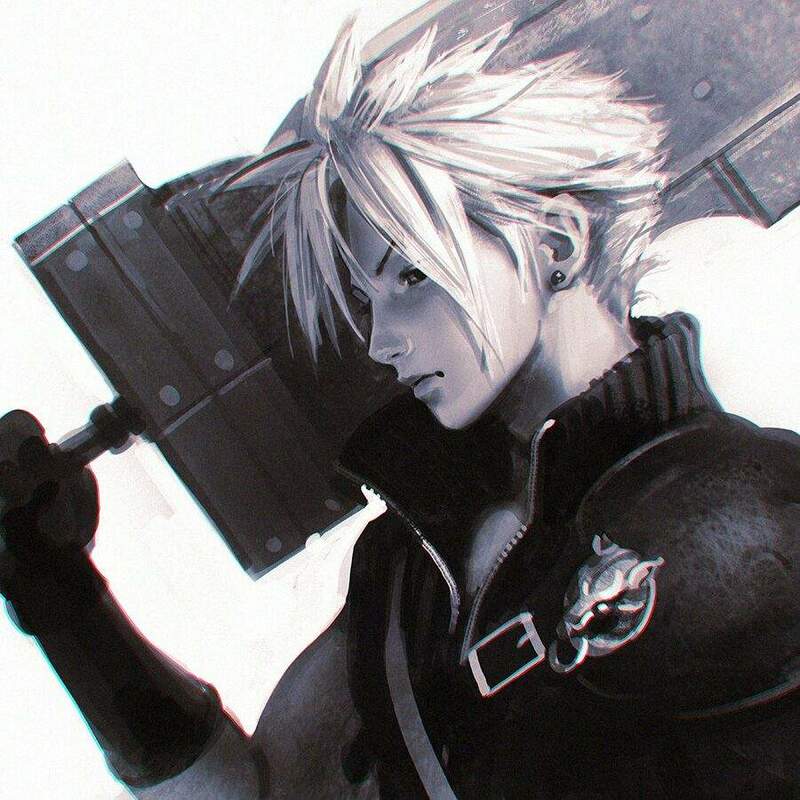 Honestly this is some of the most emotional music in video games and it’s coming from a spin-off Pokemon game, so never judge a book by its cover. The artists make the music sound so mystifying at times and so sad at other times. I would highly recommend looking up a playlist for this game’s music as you’ll be listening to it a lot, I promise you. Also there are a lot of cute sound effects in this game, with my favorite being the one that plays when you eat a gummy. Great job here! There’s so much to this game. It takes a long time to even beat the main story and the after game is just as long, if not longer. The way this game handles its progression works really well too. You basically have to complete a few quests between every major turning point in the story, so there’s always a good mix of story and gameplay. That also makes it so you’ll occasionally lay off the story so you can grind up or get some cool rewards from quests you happen to find. This game can easily last over 100 hours which is really impressive for a game of its time. I love this game. If I ever have a few days off it’s always going here. Because this game has both a great story and great gameplay it’s very hard not to get invested, especially when you have some dungeons that strip you back to level 5 to make them extra challenging to try and beat. I find it to be the perfect game to sit down and relax with as there is never anything rushing you. You can stare at the same enemy for 5 hours yet they won’t move before you do. It’s so easy to pick up, play, save, and put back down that it’s honestly addicting. What’s great about this game being based around Pokemon is that you’ll always have a weakness. If you’re a fire type, you’ll struggle in water dungeons. If you’re a grass type, volcanoes can be problematic. Quite often you’ll have to use certain items like magic orbs or projectiles to defeat certain enemies. Same goes for the boss battles in this game. Pokemon don’t have an HP bar so you’ll never know how low on health they are, all you can do is make sure yours doesn’t drop to 0. There are some elements to this game that can make your journey even more dangerous. Monster houses are the best example of this. Sometimes upon entering a room in a dungeon, about 15-20 Pokemon will spawn to attack you all at once. This can always be dealt with by using certain items but sometimes it can also be the end of you. Yet despite all this, the game is still fun to play, even when you die in the dungeon. I don’t know what it is about this game specifically that makes me smile when I lose, but I love it. Quickest 10 I’ve ever given. Pokemon Mystery Dungeon, and in particular this one are famous for its story. I’ve never seen a game aimed towards kids reach such a level of emotion yet fun at the same time. As the game begins you get thrown in an anonymous cutscene where you and an acquaintance of yours are in the middle of a storm, fighting for your lives. You appear to lose your grip as the screen fades to white. When you wake up you get found by the Pokemon who you chose as your partner. But you suddenly panic as you see you’ve been turned from a human into a Pokemon! As you’re talking a group of ruffians, Koffing and Zubat, walk up to you two and steal this Pokemon’s item! You decide to help them get it back and enter your first dungeon of the game. After beating them and retrieving the item, you both decide to join Wigglytuff’s Guild and become a famous explorer team. Together you’ll face many ups and many downs as you’re tracking down the thief who’s stealing all the items known as Time Gears! By doing so they’re causing time to stop moving within certain areas of the world. Are they doing this for evil or is there an explanation for all this? Find out as you play through the game! This is easily one of the best games out there for the DS. If you want a game that has fun gameplay, an emotional story and a lot of humor, this is the game for you! Hope you enjoyed this review as much as I enjoyed playing this game! Great review man! I remember playing Pokemon Mystery Dungeon: Red Rescue Team a lot as a kid, but I don't remember much of Explorers of Time at all. I'm fairly certain I still have my game cartridge, so I might have to go back and play it again if I find the time. While I don't remember Explorers of Time much, if it's anything like Red Rescue Team it definitely deserves a 10 for difficulty. I remember having to stock up on Reviver Seeds before going into any of the later dungeons, because getting through them on only one life was nearly impossible. The first games were a cakewalk compared to this one haha. If you have the time you should definitely play it some more! Great job on the review, it's clear you actually put some effort into it, even though it's TdV. Proud of you. Looking forward for more.